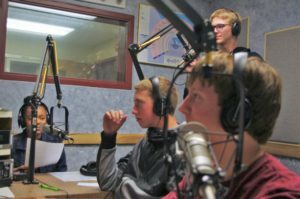 In addition to providing quality entertainment for our audience, KRVM offers students a Radio Broadcast Program at Sheldon High School and Spencer Butte Middle School. The program is open to students from any area school who are eager to learn and able to come to our main studios at Sheldon High School. Our students learn how to operate an audio board, microphones, and audio software. They also learn proper on-air communication skills, including announcement of songs and musical artists, and delivery of public service announcements. 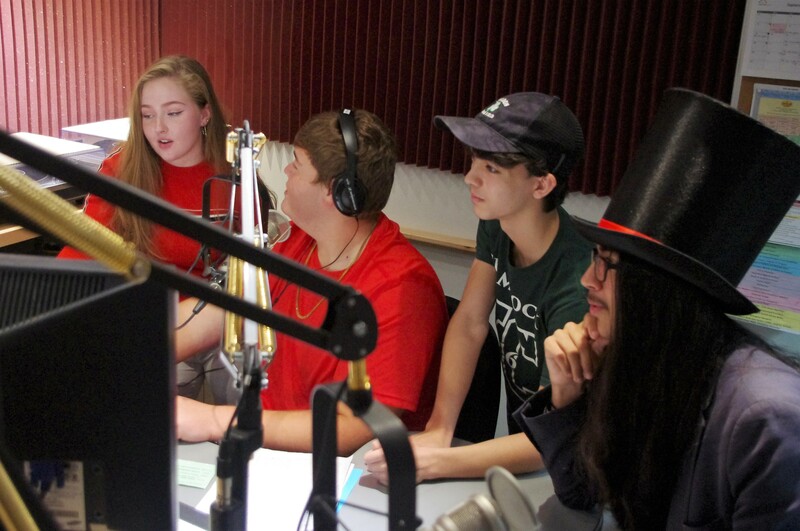 Each school day, at our Sheldon studio, students work as a team to record and air radio programming. The students at Spencer Butte also work together to record programming that airs Tuesday and Thursday afternoons. Several KRVM radio broadcast program students have moved on to careers in broadcasting. Regardless of the paths our students choose to pursue after graduation, they will leave the radio program with improved communication skills and more self-confidence.